A trench coat is a wardrobe staple and for the past few seasons, I have been searching for the perfect one to add to my closet. The key to a great trench is a timeless and classic look, great tailoring, and a not too light or too dark khaki color. I have searched for one with all these qualities, but could never find one that didn't cost a fortune. A few weeks back though, I came across this one from Banana Republic and it had everything I had been looking for! It's a true classic piece and I will be wearing it with everything all Spring long! Love this look! 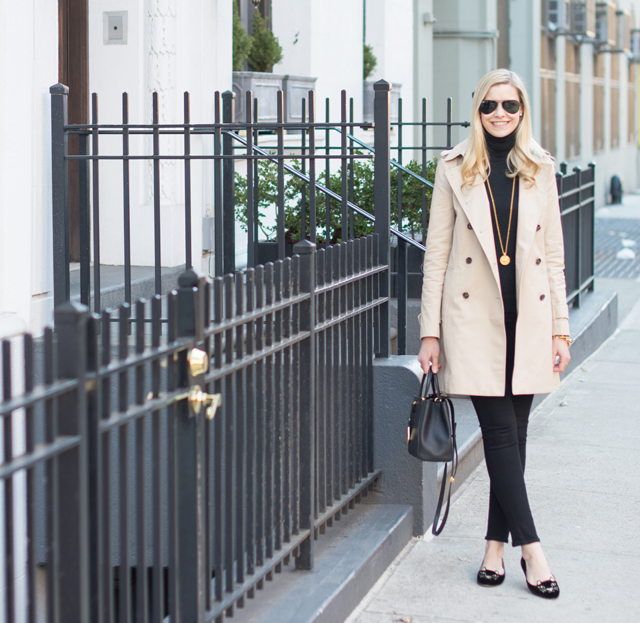 Trench coats are such staple and never go out of style!